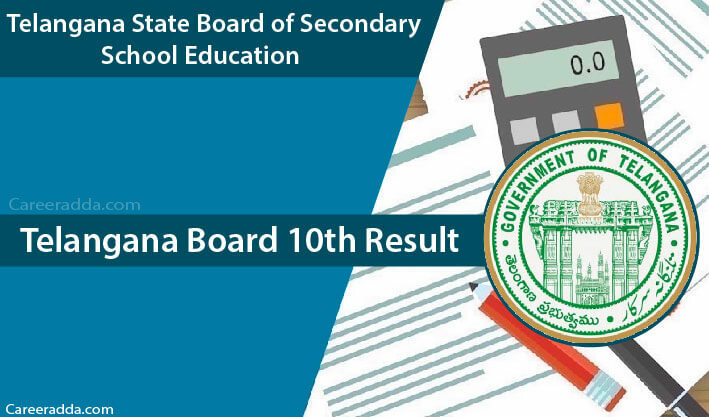 Check TS 10th Results 2019 – TS SSC Results 2019 Date, Subject wise Marks : Telangana 10th results 2019 will be announced in the month of April 2019 on Board of Secondary Education, Telangana State Official website. Candidates who will appear for TS 10th examinations in 2019 are able to check their results once announced by the board. Just after finishing all the TS SSC class 10th examinations 2019, aspirants will start searching for the date of result announcement. For such candidates, here we have provided essential information on date of result announcement. As per latest available information, Telangana SSC Board will announce class 10th results for the academic year 2018-19 in the last week of April 2019 from its office located in Hyderabad. As per latest news and available information, Telangana SSC Board will announce class 10th results for the academic year 2018-19 on April 2019. From now onwards, the time is not too far when the Telangana state Board of Secondary School Education will announce results of this year’s class 10th examinations. For your reminder, we want to tell you that this year’s TS Class 10th examinations were held between March 16 to April 02, 2019. Once result announced, candidates can check their TS SSC 10th 2019 results on the board’s website i.e. www.bse.telangana.gov.in. Results will be officially released by the Board of Secondary Education, Telangana State, Hyderabad. In the year 2018, 10th results were announced on 27th April 2018 at 7 PM. As per the latest media reports, the BSE, Telangana (Board of Secondary Education, Telangana) is likely to announce the class 10th results by the end of April 2019. This news will definitely provide much-needed relief to the concerned candidates awaiting the declaration of TS 10th Results 2019. What Will I Do After Fetching TS 10th Results 2019? It is one of the most common questions asked by the concerned candidates these days. It is so because this will be the first time when candidates check their results online. Here we are going to answer this question for our readers out there. It will be the essential thing to do for examinees after fetching TS 10th Results 2019. Once result opened, a candidate should save it in his/her computer and print it on an A4 size paper. Printing TS 10th Results 2019 is must for candidates so that they can use printed copy of their result in future as provisional result. Verification of details is must as it will help candidates in locating errors in their results (if any). Error might be of any type either spelling mistake or printing error. In case, if you will see any error in your result then the first thing you need to do is to contact your school or college authorities. In such cases, school administrations take responsibility of rectification. Candidate’s name & roll no. To get your Telangana Board class 10th 2019 results through the voice call, you need to dial a specific number and follow the instructions. Numbers for IVRS facility will be active very soon. Like SMS facility, IVRS service will also be chargeable for candidates. Note: Above mentioned methods of getting results will be available only for providing instant result updates. Later, the Board will issue a separate marks sheet and certificate to every candidate appeared and qualified in Telangana SSC Class 10th 2019 examinations. After checking the results, if any student is not satisfied with the marks obtained then s/he can avail the facility of the result re-verification offered by the Telangana Board. However, for this service, candidates will have to fill and submit an online application along with the fee. The facility of result re-verification will be available tentatively in the first week of May 2019 or just after the announcement of TS 10th results 2019. In the year 2018, SSC Board has declared class 10th results on 27th April 2018 at 7 PM by the Deputy Chief Minister and Minister of Education Kadiyam Srihari. Nearly 5.83 lakh students were appeared for the exam, out of which 5.34 lakh students managed to pass the examination. According to this, the overall passing percentage will be 83.78%. Statistical analysis of TS SSC result of few years is given below. Candidates passed in Telangana Board’s class 9 examinations can take admission to class 10th course. It is one year course. Further details can be obtained from Board’s official website. This year’s Class 10th examinations were started on 16th of March 2019 and concluded on 2nd of April 2019. Generally, the timings of all papers were 9:30 A.M. to 15:15 P.M. The Telangana state Board of Secondary School Education is responsible for conducting the SSC/OSSC public examinations twice in a year. Every year, more than 15 lakh students participate in SSC/OSSC examinations. Generally, these examinations held in the month of March/April and results declare in the month of May. Q. What Will Be The Things Needed To Access The TS 10th Results 2019? A. Candidates can access their result only using TS 10th hall ticket/roll number. Q. Is It Necessary To Keep The Admit Card Safe Even After Completion Of Examination? A. Yes. Each candidate should keep their admit card safe until they get their result documents issued by the Board. Q. Where I Can Check My Telangana SSC Result 2019? A. You can check your result online on several websites such as bse.telangana.gov.in/. Above, we have mentioned the best ways to check Telangana 10th results in the year 2019. But, if you will find any difficulty in getting your Telangana class 10th result then feel free to contact us. You can write your query in below provided comment section. We Wish You Best of Luck for your Telangana SSC Class 10th 2019 results.